 the cottage gals: Is it Friday already? We've spun through another week faster than seems possible and we're getting into the emerging holiday spirit (superficially self imposed by our Holiday Open House last weekend. There's just something wrong about decorating for Christmas on Halloween, don't you think?) Anyway, with that wonderful event behind us, we can relax and prepare to embrace one of my most favorite holidays, Thanksgiving. I love it because there are no expectations, no one to dissapoint, not so much pressure and wine is served. Unless you botch the turkey or put something trendy in the stuffing that everybody hates, you're good to go. It's that great time of year where you nest and cook and set the table and prepare to host a wonderful meal with all of your loved ones. And best of all, my husband is a chef and has always done every bit of the cooking for the big day. Don't you hate me? Hope your weekend is full of pleasant surprises. My hubby does all the cooking too!